The Raven (2012): Baltimore, 1849. While investigating a horrific double murder, police detective Emmett Fields makes a startling discovery: the killer’s methods mirror the twisted writings of Edgar Allan Poe. Suspecting Poe at first, Fields ultimately enlists the writer’s help to stop future attacks. But in this deadly game of cat and mouse, the stakes are raised with each gruesome slaying as the pair races to catch a madman before he brings every one of Poe’s shocking stories to chilling life…and death. Masters of Horror The Black Cat (2007): The Black Cat, set in 1840 Philadelphia, has the great writer Edgar Allan Poe, struggling with alcoholism, writers block, as well as being out of ideas, short on cash, and tormented by his wife Virginia’s black cat that will either destroy his life or inspire him to write one of his most famous stories. I have always fantasized about being a vampire. I mean, it would be pretty cool. I have a huge thing for vampires. Always have. They have a pull on me. I love them all. The creepy ones, the sparkly ones, it doesn’t matter. They all rock. In this case, the original is 10 times better. It was remade quickly because the original is a foreign film in a different language. Let The Right One In (2008): Oskar, an overlooked and bullied boy, finds love and revenge through Eli, a beautiful but peculiar girl. 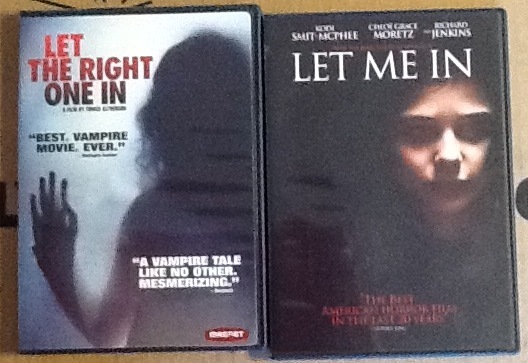 Let Me In (2010): A bullied young boy befriends a young female vampire who lives in secrecy with her guardian. Who wouldn’t want to be a witch??? The Craft is a movie that I could watch over and over. It’s just a fave. And I love Blair Witch because, let’s face it, the woods are creepy, with a witch or not. The Craft (1996): A newcomer to a Catholic prep high school falls in with a trio of outcast teenage girls who practice witchcraft and they all soon conjure up various spells and curses against those who even slightly anger them. The Blair Witch Project (1999): Three film students vanish after traveling into a Maryland forest to film a documentary on the local Blair Witch legend, leaving only their footage behind. 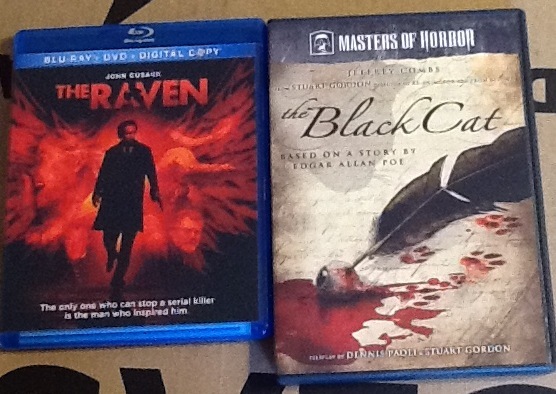 3 very enjoyable, yet creepy movies. 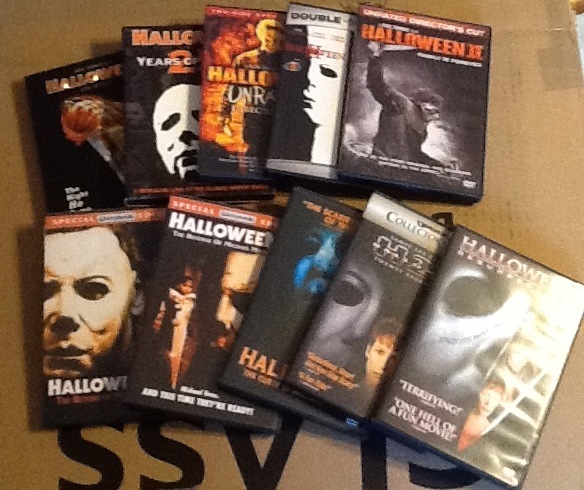 Why would you ever want to collect ghosts?? Would you ever aboard an abandoned ship?? What if you really were the ghost? Thirteen Ghosts (2001): What a house! It’s all steel and glass and elegance – and it all belongs to Arthur Kriticos and his family as an unexpected inheritance. You could say it’s their dream home. Especially if the dreams are nightmares. The house itself is a design marvel and a mysterious puzzle-cube whose eerie corridors, sliding walls, spinning floors and phantasmic fiends may allow no escape. 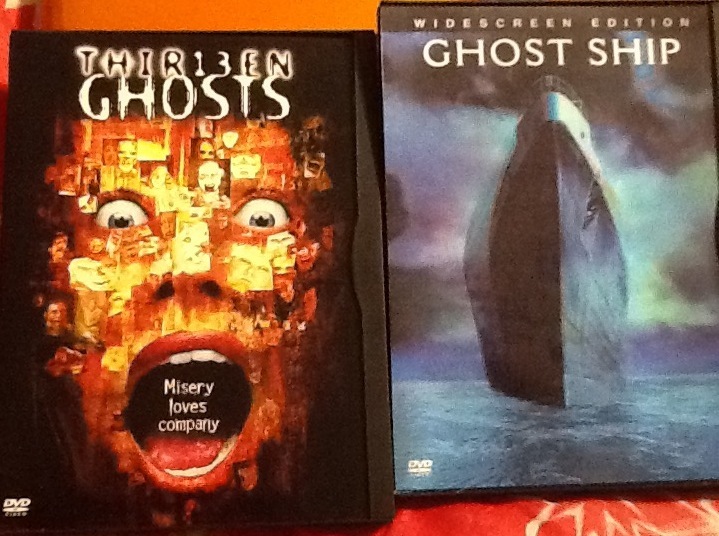 Ghost Ship (2002): Finders keepers. Any abandoned ship floating in international waters can be claimed and towed to port by whoever is fortunate enough to find it. Or, in the case of one team of salvage experts, unfortunate enough. Salvagers trained for any situation imaginable come face to horrifying face with the unimaginable after boarding a derelict luxury liner. The Others (2001): A woman who lives in a darkened old house with her two photosensitive children becomes convinced that her family home is haunted. 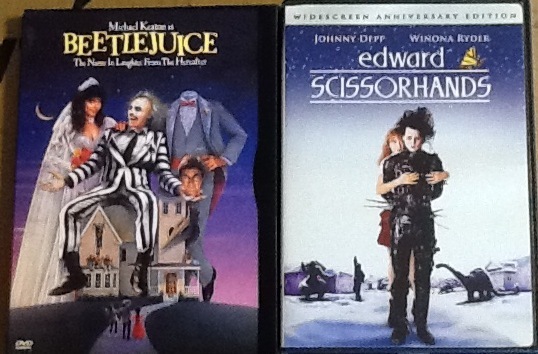 You may not think of them together, but many of my favorite Johnny Depp roles are those that are partnered with Tim Burton – and all are creepy, but in a good way! 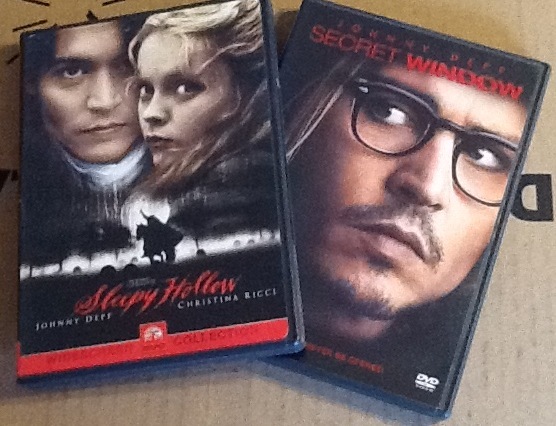 Sleepy Hollow is definitely a classic Halloween tale. It’s a must watch! Secret Window isn’t a gory film, but definitely a great psychological thriller, coming from a tale from the master, that os Stephen King. Sleepy Hollow (1999): Ichabod Crane, an eccentric investigator determined to stop the murderous Headless Horseman. Katrina Van Tassel, the beautiful and mysterious girl with secret ties to the supernatural terror. Secret Window (2004): Following a butter separation from his wife, famed mystery writer Mort Rainey is unexpectedly confronted at his remote lake house by a dangerous stranger named John Shooter. Claiming Rainey has plagiarized his short story, the psychotic Shooter demands justice. When Shooter’s demands turn to threats – and then murder – Rainey turns to a private detective for help. But when nothing stops the horror from spiraling out of control, Rainey soon discovers he can’t trust anyone or anything. 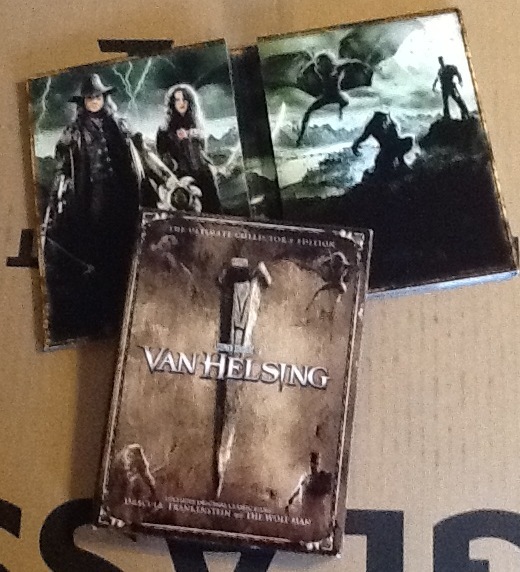 Van Helsing (2004): In this adrenaline-powered adventure, legendary monster hunter Van Helsing is summoned to Transylvania for a sweeping battle against the forces of darkness! Dracula (1931): The ancient vampire Count Dracula arrives in England and begins to prey upon the virtuous young Mina. The Wolf Man (1941): A practical man returns to his homeland, is attacked by a creature of folklore, and infected with a horrific disease his disciplined mind tells him can not possibly exist. Frankenstein (1931): An obsessed scientist assembles a living being from parts of exhumed corpses. 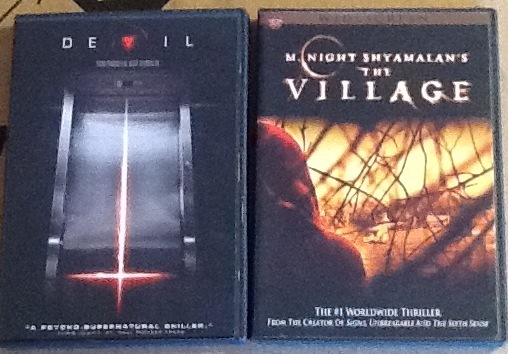 These two are definitely my favorite M. Night Shyamalan movies. Love the premises of both. Devil (2010): Trapped in an elevator high above Philadelphia, five people discover that the Devil is among them – and no one can escape their fate. The Village (2004): An isolated, tight-knit community lives in mortal fear of an oppressive evil inhabiting the forbidden forest just beyond their tiny village. So frightening that no one ventures into the woods…until one villager dares to face the unknown. Not that I would ever want to meet an alien (yes, I believe that we are not alone in this world), I find them very fascinating, and scary as hell. They Live (1988): They influence our decisions without us knowing it. They numb our senses without us feeling it. They control our lives without us realizing it. They Live. Aliens are systematically gaining control of the earth by masquerading as humans and lulling the public into submission. Humanity’s last chance lies with a lone drifter who stumbles upon a harrowing discovery – a unique pair of sunglasses that reveal the terrifying and deadly truth. Signs (2002): The story of the Hess family in Bucks County, Pennsylvania. One morning they wake up to find a 500-foot crop circle in their backyard. Graham Hess and his family are told extraterrestrials are responsible for the sign in their field. They watch the news as crop circles are soon found all over the world. Signs is the emotional story of one family on one farm as they encounter the possibility the world is being invaded.